Moving into or out of a home is the mark of an exciting transition in life, but it can be a very stressful time. There’s so much to take care of, with everything from packing to decorating your new home and everything in between. One of the worst pains of moving is cleaning your former or new house to prepare it for sale or the big move-in. 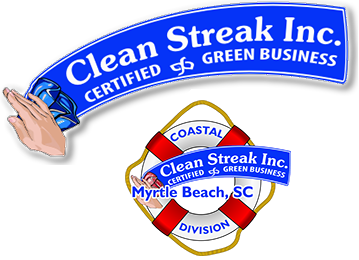 Whether you’re moving into or out of a new home, Clean Streak Inc. will take care of the mess for you! We offers move-in and move-out residential cleaning services in the Carolinas. We believe that a cleaning company should not just simply “clean” a home or apartment, but offer a well-defined, trustworthy service that pays attention to the little details. We will thoroughly clean your new or old home with this approach to make your moving experience as smooth and worry-free as possible. If you’re moving out, it’s always a good idea to clean up your house or apartment, either to make it spotless for the new occupants or to ensure you get your security deposit back. It’s also important to clean the house if you are putting the home on the market and need it spotless for pictures and open houses. No matter the reason, your former home should be just as clean as when you moved in, if not more. The cleaning experts at Clean Streak Inc. can visit your current house before you move out to give it a General or Top-to-Bottom Deep Cleaning. We will make sure every nook and cranny gets cleaned so that the entire home looks flawless. You’re ready to start the next chapter in your life, and cleaning up your current home is the perfect way to ensure a new beginning. Dust Top-to-Bottom: every horizontal and vertical surface from ceilings to the floors, including fans, light fixtures, blinds, cabinets, baseboards, etc. Clean Inside Window Glass – anything accessible with a 2-step ladder.